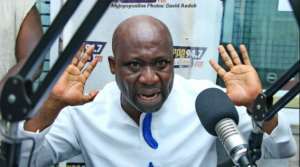 Ghana Football Association presidential hopeful, George Afriyie has scored the Normalization Committee works less than an average following their slow pacy nature of returning football to its normalcy. The four-member Committee was constituted by FIFA after the airing of the 'Number 12' video that uncovered the rot in Ghana football. The Committee was supposed to finish their mandate on March 31, however, the world football governing body has extended the stay of the Committee with another six months. However, according to the former Ghana FA vice president and the life patron of Okyeman Planners, the Committee has so far in their activities to the stakeholders of the game in Ghana has been very abysmal. "The Normalisation committee performed only 1 out of their 3 months and one mandate of their three given to them by Fifa" And that one is running the day to day activities of the association and even that I will give them 30%”, he told Accra-base radio Station Atinka FM. He further reiterated that the Committee led by Dr.Kofi Amoah should apologise to the stakeholders of the game for failing to finish up their core mandate before March 31, as promised. "Dr Kofi Amoah should come and apologise to the football people for lying to them that he will complete his work by March 31 but is not so," he added.